By Xah Lee. Date: 2010-10-18 . Last updated: 2010-11-03 . If you bought a Microsoft Comfort Curve Keyboard 2000, and some keys started to fail, this page shows you how to fix it. This keyboard is known for key-failure problem. The problems with this MS comfort curve keyboard starts when at random some of the keys stop working, it dose not matter how hard you press or for how long, they just wont work, this problem is due to static charge build up on the thin plastic sheet/mat inside the keyboard that has electric circuit printed on them. This new keyboard technology is wonderful and superb, the keyboard is sheer pleasure to use when it is working, when you press the key it is quite soft and silent, so, it wont wake the baby up. it has no mechanical parts inside keyboard, it has lots of small soft plastic **** on plastic matt that you press with your keys so they don’t make any sound, same as in your average Remote control. Even in this year 2010 this plastic sheet circuit board needs lots of improvement yet, because it suffers from static charge build up. Microsoft seems to have opted for the cheapest quality non expensive plastic sheet circuit mat for their keyboard, probably made from some cheep biodegradable recycled plastic condoms, these cheep mats always have tendency to hold onto electric charge and wont discharge when they should, and consequently cut off circuit connections to the keys, same technology that is used in majority of the household remote controls, and ,so, the reason why Remote keys tend to stop functioning after a while. His solution is to spend 15 min to open up the keyboard to discharge it, whenever keys starts to not working. Another guy (stackoverflow.com) claims it's membrance mis-alignment. Also says he open the keyboard to re-align the membrance. The bottom line about the defect is that the failure is not consistent. Sometimes the bad keys just work perfectly. 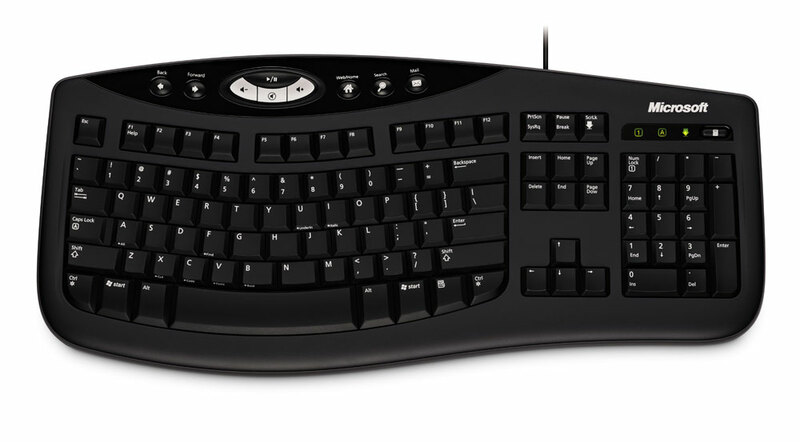 There are lots of sites that give garbage advices about this keyboard. They'll say update the driver, clean the keyboard. These are not the problems of this keyboard. The problem is with the keyboard hardware itself. Also, return for replacement will probably not help. Lots of reports that say new replacement are still bad as of 2010. Just learned from a friend, a good method of fixing this keyboard. Whenever some key doesn't work, take the keyboard up and hold it with one hand, and use the other hand to give the keyboard a slap with impact. WHACK! Then, the defective keys will all work again! Seriously. She told me this, then i immediately plugged in the keyboard, checked that x is still defective, then i whacked it, and it immediately workd! We were laughing hard about this. This is a fantastic solution. Because this is a really great keyboard, and now you can actually make it work. got this comment. Seems reasonable. But i've thrown-away the keyboard by now. My repost from FixYa: Well the SmApple guy put me on the right track, but the main deficiency with this keyboard is the lack of a proper ground (which would cause a static build up. Opening the keyboard, I found a bright metal screw that held the sheets to the small pcb board inside. I assumed this was a ground, but when I took that off, it wasn't connected to any sort of ground. So, I took a small wire, clamped it to the screw, and connected it to the USB (G) port. Voila, a working keyboard!